In the first half of the twentieth century, itinerant photographers known as "picture men" traveled the backroads of Appalachia and made their living taking photographs of the local farmers and their families. 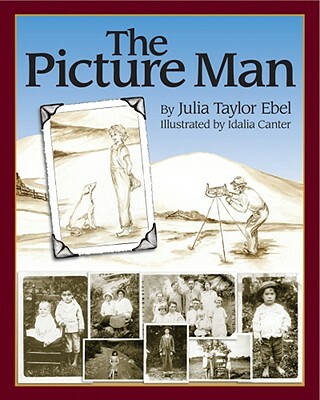 These picture men come to life in this story of an Appalachian farm girl who is intrigued by an offer to photograph her family. Gentle brown-toned watercolors hint of old photographs, while poetic text leads readers from the picture man's arrival to the taking of the photograph. The story culminates with the actual 1940s photograph that inspired this story.